In the US, The NPD Group has promoted Steve Coffey from Chief Research Officer to the newly created position of Chief Innovation Officer. 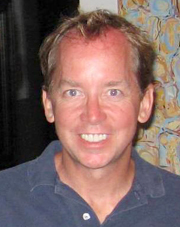 Coffey (pictured) developed NPD's patented PC Meter technology and web traffic measurement tool - this was spun off into Media Metrix, a firm he co-founded in 1996, and Coffey then rejoined NPD in 2002. He has also worked at Nielsen and The Pillsbury Company, and between 2010 and 2012 served as Chairman of the Advertising Research Foundation. In his new role reporting to CEO Tod Johnson, Coffey will focus on using new technology and understanding changing consumer and retail trends, in order to design new research and marketing solutions.